These titles have received their first annual CiteScore metric, and they are already in the top 1 percent for their subject areas. The latest assessment of thousands of scholarly serial publications is now available with the release of the 2017 CiteScore metrics. 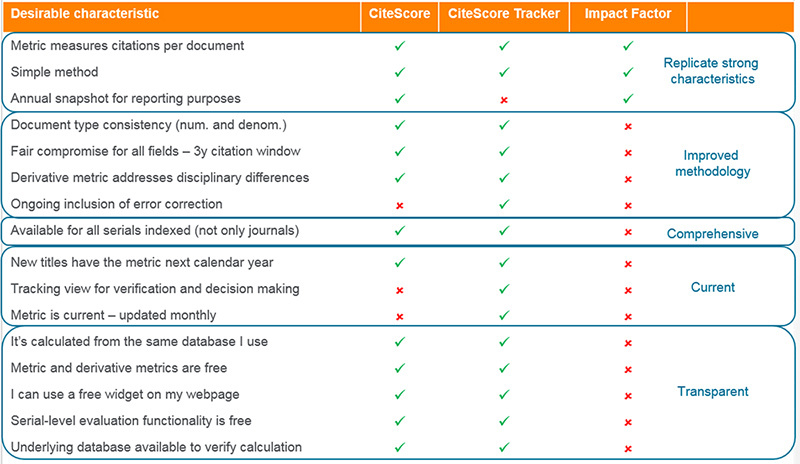 CiteScore provides a set of simple, reproducible journal metrics that cover all journals in Scopus. Although the values are presented as a set number annually at the end of May, you can use CiteScore Tracker to monitor the impact of titles each month, giving a good indication of what their mid-year’s value will be. This year more than 23,350 source titles were ranked by the eight indicators that form CiteScore metrics: CiteScore, CiteScore Tracker, CiteScore Percentile, CiteScore Quartiles, CiteScore Rank, Citation Count, Document Count, and Percentage Cited. Of those source titles, more than half have no Impact Factor yet. CiteScore enables their editorial teams to demonstrate their journal’s impact and performance to the research community with an official metric while awaiting the lengthy review cycles for indexation in the Web of Science. 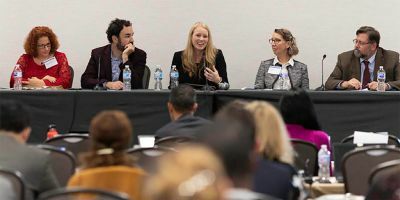 As is the case for any metric, it takes time to build up familiarity and set new standards, and it’s a journey – a journey we are on with the entire academic community as new perspectives on research evaluation are formed. 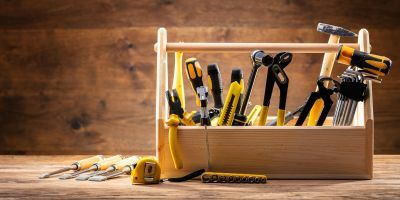 With free access to the underlying data for CiteScore Metrics, values can be recalculated by anyone, offering transparency to researchers, publishers and the wider academic community. 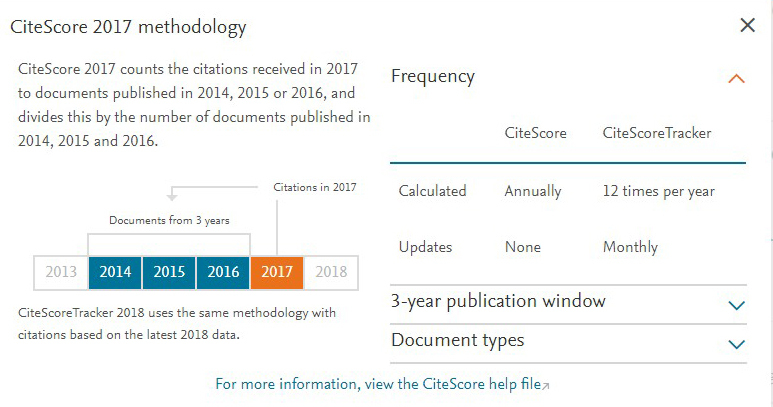 Also, because of the potential of every document type to cite and be cited, all document types in Scopus are counted in the calculation of the CiteScore Metrics. CiteScore metrics are part of a collection of research metrics: Elsevier’s “basket of metrics” available on or through Scopus. 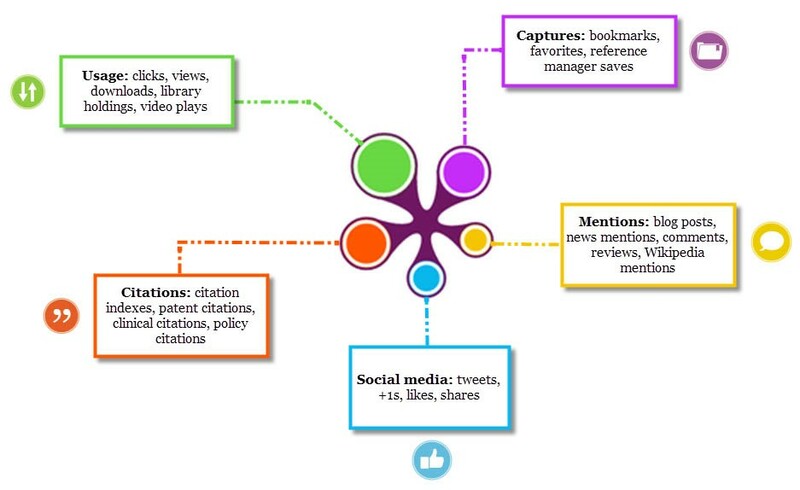 Other metrics include journal, author, institutional, and article-level metrics captured in PlumX metrics (covering citations, social media mentions and pick up in mainstream media), supporting a holistic view of research performance. 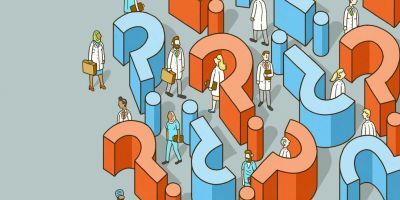 Our basket of metrics concept underscores the two golden rules of research evaluation: always use both quantitative and qualitative indicators side-by-side. And when choosing quantitative indicators, always use more than one. 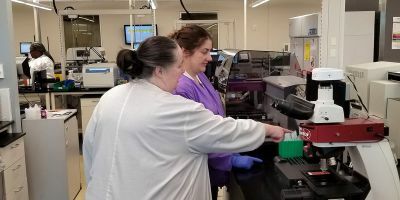 With this approach, Elsevier is responsive to the needs of researchers and research leaders and is constantly scanning the horizon for useful new metrics to add to the basket. 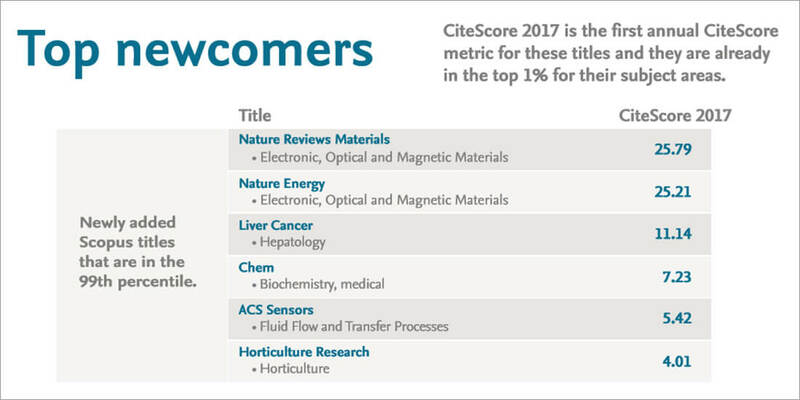 For a complete overview 2017 CiteScore values – and all other research metrics available in Scopus – see CiteScore 2017 metrics. CiteScore is part of the collection of research impact metrics and indicators available for analyses and visualizations of trends in scholarly publications through SciVal, Elsevier’s research benchmarking tool. Most recently, the Prominence indicator, which ranks and clusters all publications in Scopus into 97,000 Topics based on citation paths, incorporates the prestige of the journal (CiteScore) into the algorithm that ranks the Topics by Prominence. The calculation weighs together the current impact of papers clustered in a topic (citation count), how much attention these papers receive (Scopus views count) and the prestige of the journals in which they are published (CiteScore). The Prominence rank is indicative of the current momentum of a Topic. Read more. 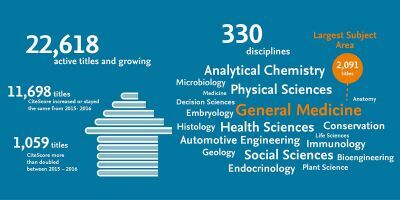 Comprehensive: CiteScore 2017 is available for 23,359 active titles in Scopus. 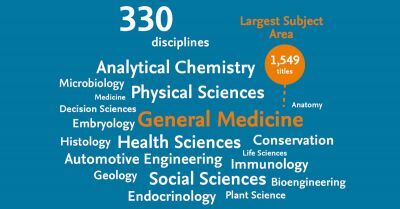 CiteScore is available for all types of active serial titles on Scopus – peer-reviewed journals, book series, conference proceedings and trade journals, in 330 disciplines. Transparent: CiteScore gives complete transparency into the underlying data by allowing users (regardless of whether you have a Scopus subscription) to click into the numerator (citations) and denominator (documents). Simple to replicate, the calculations for CiteScore Metrics are straightforward with no secret algorithms or hidden details to influence results. Free: CiteScore Metrics, including access to the underlying data, continue to be free to access without a Scopus subscription in the following ways. 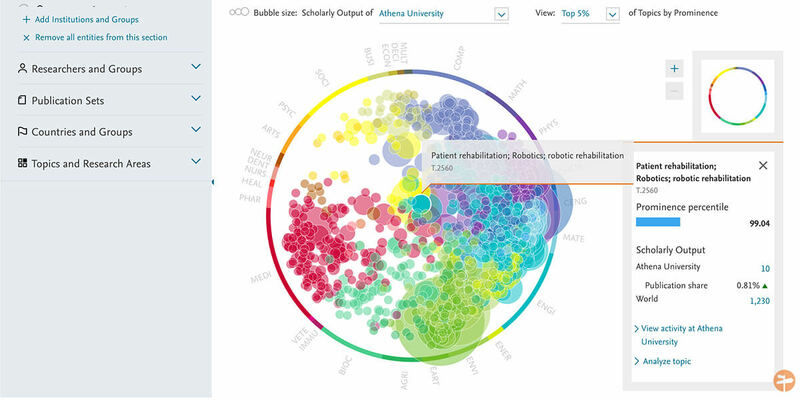 You will also find the Plum Print — a data visualization where each circle represents a different metrics category by color. The larger the circle, the more metrics in that category. As a researcher, you can use PlumX Metrics to help evaluate the impact of your work and understand how individual articles are being consumed. As Product Marketing Manager for Scopus, Rachel McCullough focuses on how Scopus and the broader Research Intelligence portfolio work together to meet customers’ needs. Since joining Elsevier in 2010, she has developed a deep understanding of metrics and how institutions and researchers use them. She has extensive experience training librarians, researchers and administrators in using Scopus together with the other products of the Research Intelligence portfolio.